To prospective tourists, the tiny Caribbean nation of Dominica markets itself as the 'Nature Island', touting its charms as "a diver's dream and hiker's paradise". But when Prime Minister Roosevelt Skerrit recently toured the Persian Gulf and Southeast Asia to woo foreign investors, his unique selling point was neither his country's colourful coral reefs nor its lush rainforests. Rather, it was visa-free travel to Europe: for as little as a hundred thousand U.S. dollars, foreigners can acquire citizenship of the Commonwealth of Dominica -- and a passport that allows them to travel unimpeded to over one hundred countries worldwide, including the United Kingdom and the entire Schengen zone. Such economic citizenship programmes, which are being run by several small island states in the region, have raised concerns that terrorists, criminals and other shady characters could buy Caribbean passports to evade justice, slip into Europe and North America through the back door, or squirrel away billions in stolen public money in tropical tax paradises. Defenders of the programmes counter that in a fiercely competitive global economy, some small island nations have few other ways to raise government revenue, attract private sector investment, and cope with the consequences of climate change. Dominica seems a likely case in point. In the years after independence, the island's small-scale farmers made ends meet by growing bananas for export, until the World Trade Organization forced the European Union to end its preferential treatment of local growers of the crop. Hopelessly outcompeted by commercial plantations in Central and South America, the Dominican banana trade collapsed. Much of the island's modest manufacturing base also folded in the face of global competition, further adding to the ranks of the unemployed. A revolving cast of foreign patrons including the Chinese government, Libya's Gaddafi, Venezuela's Chavez, and the King of Morocco occasionally jumped in to help the rulers of the mini-state to continue paying civil servants' salaries and make modest investments. Then, in August 2015, disaster struck in the form of Tropical Storm Erika, which according to the World Bank wiped out 90% of the country's gross domestic product in the space of a few hours. The storm, which the World Bank claimed was a direct consequence of climate change, left much of Dominica's infrastructure in ruins, and sent its prime minister scrambling from one global citizenship fair to the next in a bid to raise cash. "After Tropical Storm Erika, the Citizenship by Investment Programme was a lifeline," said Vince Henderson, Dominica's permanent representative to the United Nations. "It's a major source of state revenue." Budget projections for the current financial year forecast US$ 26 million in revenue from the programme, enough to cover the entire national education budget of a country less than thirty miles across that has only 72,000 residents. In January 2016, the government announced that the programme was exceeding all expectations, raising US$ 46 million during the first six months alone. Micha-Rose Emmett, the managing director of CS Global Partners, a London-based company that promotes the Dominican programme on the government's behalf, explained that Dominica is very competitive in terms of price - at US$ 100,000, its passports cost less than half of what its closest competitors charge - and "very fast processing times" of less than three months. In addition, there is the convenience factor. Dominica enables applicants to become citizens without ever visiting the island; travel-averse investors can get their passports delivered abroad. "A lot of people who have never even been to Dominica wind up with our passports. We don't see the benefits," said opposition leader Lennox Linton, who has called on the government to make more data public. "We've not seen those numbers. There's a complete lack of accountability." A 2009 U.S. diplomatic cable released by Wikileaks observed that "[Prime Minister] Skerrit has purchased multiple land holdings in Dominica on paper worth over US$ 400,000 with much higher market value, and is constructing a palatial residence in Vielle Casse, his hometown," noting the contrast between this apparent wealth of assets and Skerrit's official salary of US$ 2,000 a month. However, there is no hard evidence linking the prime minister's personal finances to the passport business. The government asserts that adequate fiscal safeguards are in place, and has recently pledged to publish more data on the workings of the citizenship scheme. An official list of foreigners granted citizenship during the financial year 2014-15 printed in the samizdat-like official Gazette last summer contains 158 names, a number broadly in line with officially reported budget revenues from the programme for that period. 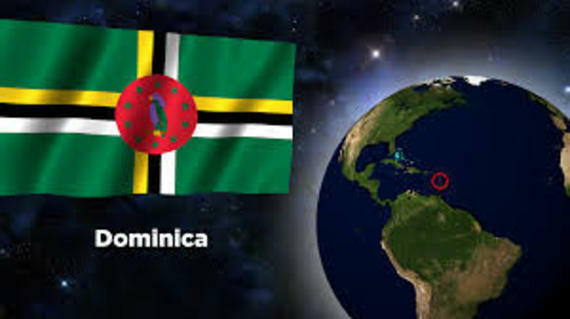 Dominica has long offered citizenship in return for a one-off payment into the central government budget. A second option recently introduced by the government allows foreigners who invest US$ 200,000 into a government-approved real estate project to purchase their passports for US$ 50,000, half the usual price. 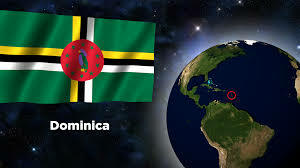 "The investment option was introduced in 2014 as an incentive to attract foreign investment into Dominica. Since then, it's been the main source of foreign direct investment into the country," Henderson said. A handful of construction projects have already been approved - the exact number is hard to pinpoint, as the relevant government webpage is not regularly updated. The flagship project, a luxury hotel complex, has a development budget of US$ 110 million, and according to its promoters will lead to 300 direct jobs once operational - huge numbers in a country whose entire gross domestic product last year was only half a billion dollars, or less than a third of the box office takings for the most recent Star Wars movie. "The Cabrits Resort Kempinski Dominica will boost the national economy, encourage local production and bring high-spending tourists to the island, whose activities on the island will further benefit the local economy," said Mohammed Asaria, vice chairman of Dubai-based Range Developments. Dominican officials insist that they have learnt from the failure of similar projects in the past, in particular the Layou River project, an ill-fated luxury hotel construction scheme that spanned multiple administrations during the 1990s and 2000s that has become a by-word for corruption in Dominica. According to U.S. diplomats, Layou's collapse was caused by a small cabal of insiders who sold hundreds of passports to Chinese investors, promising to build a luxury hotel from the proceeds. Today, all that remains of the project is a jumble of overgrown ruins, and the tens of millions of dollars raised seem to have vanished into thin air. "Strong government supervision and monitoring are essential," concluded Vince Henderson. "We work with agents who have been in the business for a long time and know the market, like Range Developments," added Emmanuel Nanthan, who heads Dominica's Citizenship by Investment Unit. "We are confident that they can do the [Kempinski hotel] project in 2-3 years." Richard Skerrit, the former minister of tourism of nearby St Kitts and Nevis, the country which set up the world's first citizenship scheme in 1984, believes that "Dominica is only now beginning to tap the market." (Richard Skerrit is a cousin of Dominica's prime minister.) "After we lost closed the sugar industry in 2005, we lost 1,500 jobs," the Kittian ex-minister explained. "In 2009, after the [global] market crash, there was no [investment] money available for resort development. Ultimately, the biggest need a government needs to satisfy are the livelihoods of its people." A recent IMF analysis has credited the St. Kitts and Nevis investment programme with generating "inflows into the real estate sector [that] are fueling a construction boom, which has pulled the economy out of a four-year recession." The country's newly elected prime minister, Timothy Harris, last month reported that St Kitts had issued a total of 10,777 passports over the past three decades. "The CIP [citizenship by investment] programme represents roughly 30-plus per cent of our annual revenue. Essentially it is a pillar in the foundation of this country's unique future and prosperity" Harris commented. "Countries that are too careless to whom they give citizenship may find their visa free access to desirable countries blocked. This, in turn, would deeply undermine their attractiveness to foreign investors seeking only a new passport," warned Demetrios Papademetriou, a senior fellow at the Migration Policy Institute. Indeed, during the freewheeling early years of Dominica's programme, Canada imposed visa requirements, reportedly due to concerns about suspected criminals using passports from the island. In subsequent years, the number of applications for Dominican passports plummeted. In late 2014, Canada also revoked visa-free access for nearby St Kitts, citing reservations about its "identity management practices" amid media reports that Iranians and Syrians were using the island's passports to bust sanctions and circumvent immigration controls. According to the U.S. Treasury Department, three individuals linked to Iran had been able to use their St Kitts and Nevis passports to facilitate transactions worth the equivalent of tens of millions of U.S. dollars on behalf of several Iranian banks. Dominican officials insist that their programme has evolved and now has exceptionally strong due diligence safeguards in place. After a secretive 2010-2011 review of Dominica's passport practices, the UK's Home Office decided to maintain visa-free access for Dominicans. "Throughout the last two decades, not one new citizen of Dominica has been found to have posed a security threat to the UK or any other country," commented Nuri Katz, who heads Apex Capital Partners, one of the private agencies licensed by Dominica's government to work with the programme. U.N. ambassador Henderson hinted that intelligence sharing arrangements have been put in place. "We proactively share information with our partners. They do their own investigations and we cooperate. We have recently gained visa-free access to the Schengen area and several other countries, this clearly shows that foreign governments have confidence in the integrity of the process," he said. David Jessop, a regional consultant and political commentator, has pointed out that recent efforts by Caribbean island nations to clean up their citizenship by investment programmes are "not helped by separate but continuing scandals about the issuing of diplomatic passports to individuals involved in alleged illegal activities" by their governments. A 2006 American embassy cable reported that a businessman from Barbados seemed to have obtained a Dominican diplomatic passport in exchange for a financial contribution to Roosevelt Skerrit's re-election campaign. Dominica's most recent scandal on the diplomatic front involves Diezani Alison-Madueke, the former oil minister of Nigeria and ex-president of OPEC, who was in possession of a Dominican diplomatic passport when police in London arrested her on corruption-related charges, sparking rumours that she was planning to use it to flee British prosecutors and relocate to the island-state. Prime Minister Skerrit defended his decision to issue Alison-Madueke's passport by arguing that at the time, the ex-minister was a globally well-known figure not known to be under criminal investigation, and that "thorough due diligence studies" had detected nothing suspicious. He categorically denied that any money had exchanged hands. The opposition responded by publicly questioning the quality of the due diligence process and circulating a list of people granted Dominican diplomatic passports who later turned out to be an embarrassment. Skerrit hit back hard. "If they can discredit the citizenship by investment program and make Dominica an unattractive place to obtain citizenship, then revenues would fall and the government would not be able to rebuild the country," he railed in a national address. "What these people are doing to Dominica is nothing short of criminal. They are destroying the name and image of this country in their quest for political advantage. I say to you they are traitors!" Meanwhile, neighbouring Caribbean islands have been rushing to secure their slice of the growing global market in second citizenships. Since 2013, Antigua & Barbuda, Grenada and St Lucia have all launched similar programmes. "This sort of migration will stay with us - and grow. It is an easy way to attract investments," concluded migration expert Papademetriou. Antigua & Barbuda alone is expecting to raise at least US$ 200 million from its citizenship scheme this year, the equivalent of over two thousand dollars per inhabitant, but domestic critics have raised concerns about the programme's opacity and the negative environmental impact of a new tourist megaresort to be financed through passport money. "If managed appropriately, these programs can bestow significant benefits on the host countries," IMF expert Judith Gold wrote in an email, before cautiously hedging that "we do not advocate or encourage these programs." Leaders of small island states seem unlikely to require much encouragement. Last March, a cyclone devastated the Pacific island nation of Vanuatu, leaving thousands homeless. The archipelago is listed by the United Nations as the world's most at-risk country for natural hazards due to climate change. After an appeal to aid donors largely fell on deaf ears, Vanuatu's rulers announced the fire sale of one hundred "honorary citizenships" to help fund recovery efforts. Thanks to lively demand from wealthy Chinese, the country ended 2015, the year of the cyclone, with its biggest ever fiscal surplus. Local officials have since decided to put the programme on a permanent footing. "Over the years since I join politics, I could not recall Vanuatu's fiscal position being very healthy compared to this period," caretaker Prime Minister Sato Kilman enthused. Note: The author spent five months in Dominica during 2015-2016, and conducted additional research in Antigua in 2016. The article above first appeared in Caribbean News Now on 25 July 2016. It was originally written in March 2016 and has not been updated since then, except for one passage relating to Antigua.